At Livingstones Supply Co. we have a passion for conservation, the environment and sustainable utilisation of our scarce and renewable resources. We actively participate in initiatives to put this into practice, sourcing sustainable and environmentally friendly products, continually looking at new ways to improve ourselves in-house and how we can contribute toward other projects that have the same goals as us. We know that our business activity, from lighting our store to packaging our products creates pollution as a by-product. We work steadily to reduce those harms. We use a number of recycling methods in house and actively seek out sustainable products and any revolutionary methods of production that reduce emissions. We recycle paper, cardboard and glass at collection points throughout our store and drop them off at the recycling point just across the road from us. We have converted all of our lighting in the showroom to low watt energy saving bulbs, substantially reducing our consumption. As far as possible, we recycle all organic matter (like vegetable peels, fruit peels, tea and coffee grinds into our worm farms.) Worm farms (known as “Worm Factories”) convert organic waste into nutrient-rich compost, which we use around our grounds. There is a lot of information around about these natural wonders, if you would like more information about the Worm Factory, please get in touch. We use recycled materials where possible for our packaging, like boxes, packaging materials, inks and dies. We have a strong focus on sustainable management in-house, we currently adopt the above procedures. All of our “green products” carry our Sustainable stamp. We also list country of manufacture on all of our products so that you know how far your purchase has traveled (we try to keep it local, but this is not always possible for quality reasons). We have made it our mission to source tried and tested products that are the best in their category and where possible offer alternative sustainable products. We are sure you already know that sustainable product alternatives are not always available, we will continue to add to our range as they become available. We aim to supply products that will enable you to offer a sustainable and environmentally friendly service to your guests. We have partnered with the Endangered Wildlife Trust (EWT), a non profit conservation organisation founded in 1973 which operates throughout southern Africa. They conserve threatened species and ecosystems in the region by initiating research and conservation action programmes and implementing projects which mitigate threats facing species diversity and supporting sustainable natural resource management. The EWT furthermore communicates the principles of sustainable living through awareness programmes to the broadest possible constituency for the benefit of the region. A part of the proceeds of all of our sales goes towards supporting EWT projects throughout the region. By buying from us you help to contribute to this very worthy cause and we encourage you to check up on these programmes developments through our news page On a Mission. 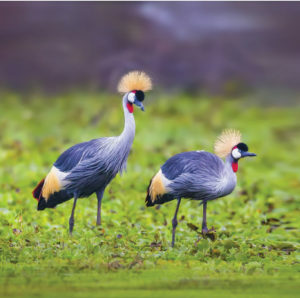 In partnership with the International Crane Foundation (ICF), the African Crane Programme focuses on securing and improving the conservation status of Africa’s four resident crane species and the wetland and grassland habitats upon which they depend. This is achieved through working with local communities to improve their knowledge about cranes and wetlands and trigger positive changes in attitudes towards these birds and their habitats. We promote alternative livelihood options that are not damaging to wetlands, such as beekeeping, and are also working with communities to fight the illegal trade in cranes, as this poses a real threat to these fragile birds. enabling them to take action when they encounter poisoning incidents. A strong scientific component adds authority to the dedicated efforts of the large network of field coordinators, associates and project partners. 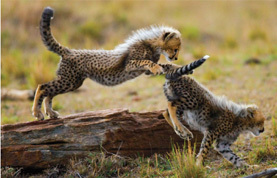 building capacity to protect carnivores. 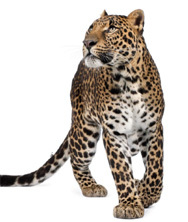 The CBSG is one of more than 125 IUCN Species Survival Commission specialist groups. The regionally-based CBSG Southern Africa operates as a partnership with the EWT and aims to catalyse local conservation action by developing processes and tools which support conservation decision-making and the effective management of threatened wildlife species and ecosystems. The Conservation Leadership Programme is building future leaders in conservation from the previously disadvantaged citizens of South Africa. Students on EWT-CLP programmes are mentored and trained in conservation theory and hands-on fieldwork to assist them in developing their own conservation vision and to become champions for the conservation cause in their communities. The EWT’s Healthy Rivers Programme aims to conserve river ecosystems, including both the river itself and the adjoining riparian ecosystem. These systems are under severe pressure and will become more important as water becomes scarcer in the future. The programme began in mid-2008 with two projects focusing on yellowfish breeding ecology and movement in theVaal River Catchment. The EWT’s IT4 Conservation Programme computer and network resources support the EWT’s mission by providing state-of-the-art IT resources, innovative technologies, and an array of IT services and support to enhance data management, access and use for better conservation management and decision-making. Our Law and Policy Programme aims to facilitate constructive legal dialogue between policy and decision-makers, civil society and other stakeholders within the southern African community. It promotes the understanding, development and use of South African environmental law and policy through information sharing, capacity building and institutional involvement. The Marine and Coastal Programme began its programme with a project to monitor the status of Humpbacked Dolphins Sousa chinensis, a species often accidently harmed by shark nets off the KwaZulu-Natal coast. Interactions with specialists, government and other NGOs revealed an increasing number of threats negatively affecting oceans and coasts in southern Africa. This has expanded the focus of the EWT-MCWG, which now works with partners to tackle some of the major threats and promote healthy marine and coastal ecosystems. The Riverine Rabbit Programme aims to ensure the survival of the Critically Endangered endemic Riverine Rabbit by implementing sound conservation programmes for the species and its unique Nama and Succulent Karoo habitat. The EWT-Threatened Grassland Species Programme was developed as a programme combining the EWT’s Blue Swallow and Oribi Working Groups and the KwaZulu-Natal Biodiversity Programme. The Blue Swallow and Oribi Working Groups had been implementing conservation action for grasslands, based on a single species approach, but conservation policies globally have moved away from this narrow approach in favour of protecting entire ecosystems. The EWT-TGSP was formed in line with this trend, using these highly threatened species as indicators of grassland health and conservation. The primary objective of the Endangered Wildlife Trust’s Wildlife Conflict Mitigation Programme is to reduce human-wildlife conflicts, with the effects of pesticides on wildlife and the environment as a common thread throughout. The primary objective is achieved through focused projects aimed primarily at the conflict interface between pesticides and wildlife, pesticides and human health, and the interface between pesticides and urban and rural/agricultural (animal and crop) environments. Energy & communications infrastructure represent one of the most important interfaces for interaction between man and wildlife, particularly in SA’s growing economy. The Wildlife & Energy Programme is at the forefront of managing these interactions, to the benefit of both wildlife & industry. The Conservation Science Unit (CSU) is the EWT’s scientific hub, providing support across the organisation’s programmes and projects, to ensure that our work is scientifically sound and evidence-based. The CSU also runs special projects, such as the Mammal Red List Revision, which fall outside the scope of other programmes. For more information on these conservation activities click on the programme name and you will be redirected to the EWT website where you can read further. As we have said before, our philosophy is to provide the highest level of service to the hospitality industry via our product offering and our contributions. Our aim is to provide our offering in the most user friendly style possible. The approach we take towards products, stock and product design demonstrates our favouring for simplicity and utility. We will continuously strive to stay true to our core values in the lifetime of this business, which our twenty plus years of experience in the industry will help us to achieve. Our focus on making the best products possible available to the market is endless.